Blog - What’s your Travel Budget? Home Blog What’s your Travel Budget? Are you planning on travelling to New Zealand, Australia or any of the South Pacific Islands? Perhaps a honeymoon, family vacation or just a getaway? If you’ve answered yes then reading the below article will give you a good understanding of what you can expect your trip to cost. Below we have collated information, answered some commonly asked questions, offered advice and listed typical cost examples for the South Pacific. All of the advice offered is aimed at the luxury travel market which is where Luxury Adventures operates, tailoring itineraries since 1999. For ease we’ve expressed all costs in NZD. Activities and experiences – what can they cost? Most of our guests err towards busier itineraries activity wise, or at least to make the most of their time in the South Pacific. Our team are more than happy to plan as many or as few activities into an itinerary as you’d like and budget can be a contributing factor with this. For example a private tour can cost anywhere from NZD800 – $1,200 plus per day with an english speaking guide, (foreign language speaking guides are sometimes more expensive), whilst it is sometimes an advantage to have a guide, often also is the case that with advice from our team some tours can be carried out at a reduced cost if guests are happy to self-guide. This is not appropriate in all cases and we advise based on a variety of factors. To give you a rough idea the activities we would offer generally start at approximately $200 per person and go up from there. 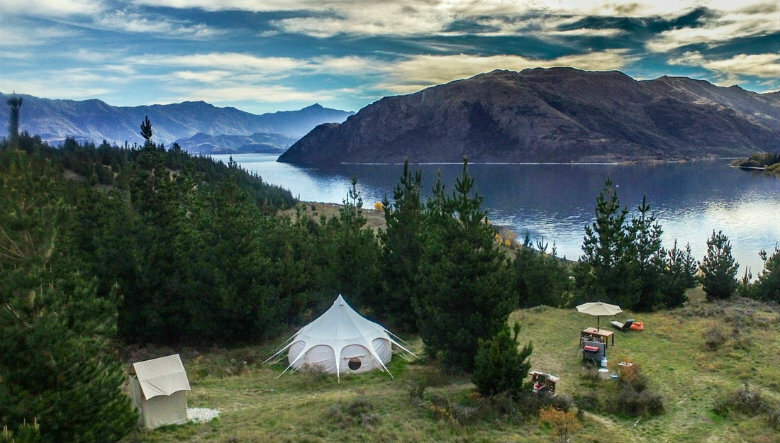 To assist you further we’ve also put together a list of Top New Zealand Experiences based on our own, and guests first hand experiences. Further down you’ll also find cost examples of some popular excursions. A good example of where budget is a deciding factor is a Milford Sound flight in New Zealand. Milford Sound, Fiordland and or Doubtful Sound are one of the “Must see” destinations whilst staying in the Central Otago region (Queenstown, Wanaka), and we believe the best way to experience this is by air. There are a couple of main options with this; a shared fixed wing plane flying to and from Queenstown, including a cruise in Milford Sound would be $525 per person, where as a shared helicopter for the same experience would be around $925 per person. For the less budget conscious you can choose an exclusive private helicopter experience where the costs would be in the region of $4,000 to see Fiordland, Milford Sound, experience multiple landings with a private picnic in a remote location and perhaps a small walking component if desired. 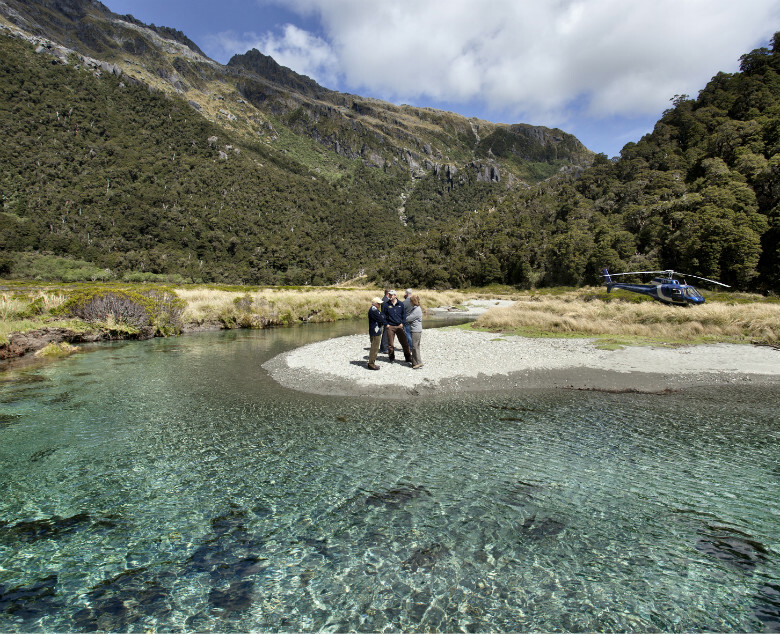 You can read more about exploring this region via helicopter in this article about Fiordland Helicopter trips. Generally speaking anything involving a helicopter will cost you considerably more than if you were to keep your feet on the ground or take a fixed wing option. Generally the advantages of a helicopter over a fixed wing aircraft are they enable you to get closer to scenery, spend more time viewing it and can offer remote landings. What are my accommodation options? We work in the luxury market and utilise a high standard of accommodation, which are handpicked by our team. The tariff for these properties generally start from around NZD450 per night to upwards of NZD2,000 per night. Of course budget is a consideration when we are choosing a property to meet a guests requirements but there are other factors as well, such as location and type along with, cuisine, activity choices, logistics, expectations, desired experience etc. For example do you want to be in the city, by the sea, close to mountains or wineries, prefer boutique hotels, luxury lodges, contemporary or traditional properties, private homes, a name or brand, or a real ‘off the beaten track experience’? The tariff at the properties is often governed not only by the high standard of service offered but also inclusions, many if not all of the high end lodges include not only gourmet breakfasts, but pre-dinner drinks, hosted evening meals, afternoon teas, some in room refreshments, along with use of their sometimes elaborate facilities. Where to go? 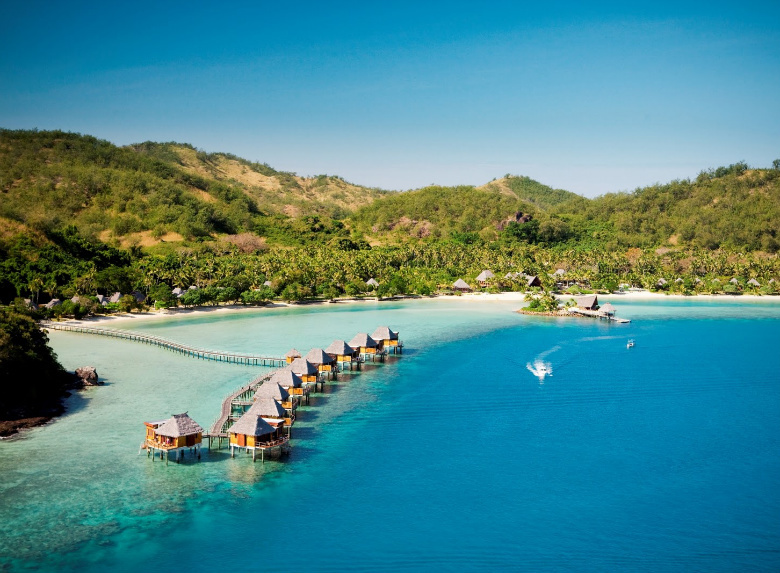 Accommodation tariffs do vary in each of the destinations Luxury Adventures offer, for example Tahiti tends to be more expensive than Fiji or the Cook Islands, especially the overwater bungalow option. 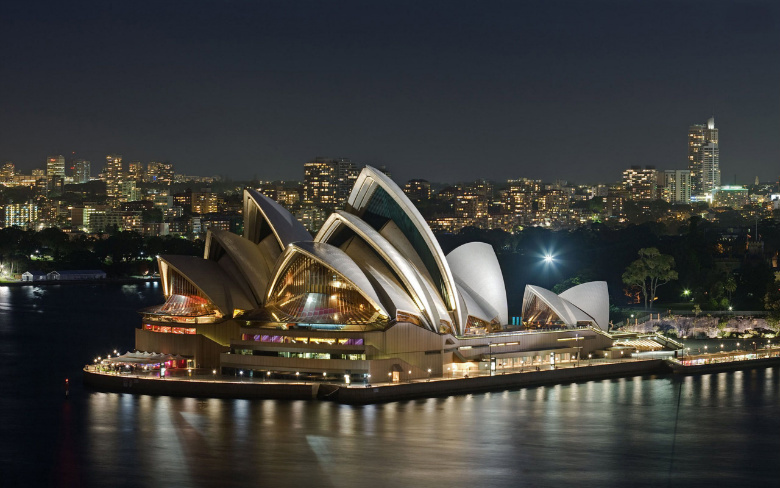 Australia generally tends to command a higher price than New Zealand for a similar given product or experience (Accommodation, activities and flights) in our opinion. If budget is a consideration then The Cook Islands are certainly worth considering as a less expensive alternative to Tahiti, whilst they offer a very similar tropical beach experience as found in Tahiti and Fiji it is both less expensive and also easier to reach from New Zealand – ask our team for more information about the Cook Islands. 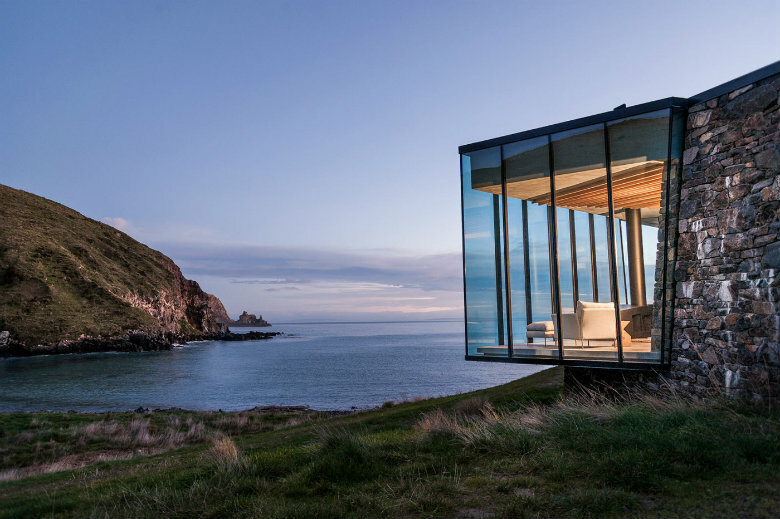 Similarly in New Zealand and Australia value can be achieved by picking and choosing, however if you wish to experience the very best in the world which we do have a number of the these properties on offer then budget will become secondary. How about getting around, what are my options? Another important consideration is domestic travel, both air and land arrangements. Australia for example is a vast continent and travel between cities or destinations can take several hours by air. We would normally advise to see between 3 – 6 destinations in a 2 week vacation rather than try and see everything and spend a good deal of your time travelling and not really experiencing the country. Our team have a lot of local knowledge and are happy to offer advice on which destinations would work best within time and budget constraints. New Zealand may not be as vast as Australia, however there is a huge diversity of scenery and things to do, many travellers underestimate how long they need to see the country. Again budget can be a large part of the process when our team tailor an itinerary. We need to consider the number of flights required to travel between the destinations, for example someone with a modest budget who has expressed a love of nature and great scenery we may suggest just the South Island with 2 or 3 destinations within driving distance to eliminate the need for flights, that can be costly and drive up the overall price. Self-driving can also be a great way to see the country, and is a more cost effective option than a private guide/driver. A standard vehicle hire would cost (depending on the travel dates and vehicle type) in the region of $80-$150 per day, whilst a driver guide can cost $1,250 – $2,000+ per day (again dependent on type of vehicle, standard of guide and distances travelled). Additional costs for renting a vehicle can include airport pick up & drop off fees (around $45+gst per pick up or drop off) and optional excess reduction insurance both of which are charged directly to your credit card upon vehicle collection. In our piece about private transfers vs self driving you can read further information about this subject. Budget no issue? If budget isn’t your primary consideration and you want to experience the finest on offer then there are a select handful of luxury properties that stand up to very best anywhere in the world. Examples of these properties are highly awarded and already well documented such as Huka Lodge in New Zealand & Southern Ocean Ocean Lodge in Australia to name a couple of the more well known choices. There are many more and also some you may not have heard of and that’s where we come in. They may be new kids on the block or fly under the tourism radar for various reasons but offer exactly what you’re looking for. We’ve also experienced many of the properties and activities we offer first hand so you can talk to us directly about this also. What do we offer? The South Pacific is an extraordinary place to visit complete with varying types of terrain, climates, cultures, scenery and gastronomy. 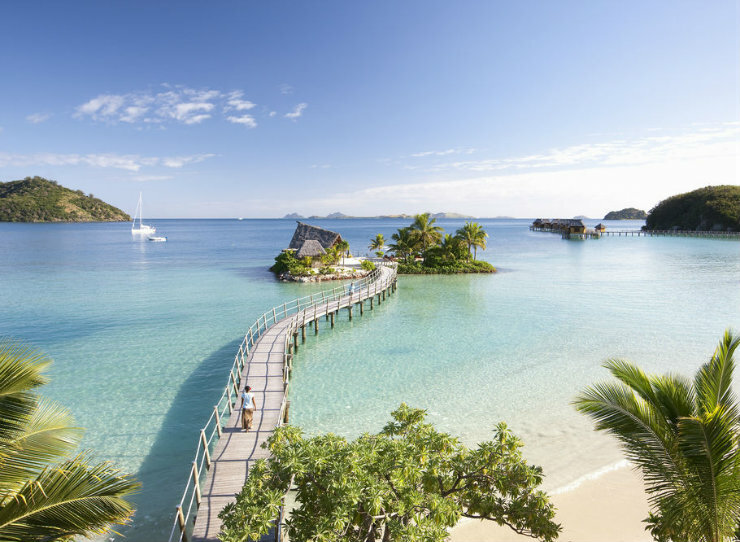 Whether its New Zealand, Australia, Tahiti, Fiji or The Cook Islands, Luxury Adventures can help plan your vacation, honeymoon or getaway. One important factor helping us tailor make the perfect trip for you is budget, often a tricky question, but very important to ensure we end up with an itinerary that just right for you. Generally our services include the planning of the itinerary, preparation of quote or quotes, often working with a guest for weeks or months prior to travel perfecting the ideal itinerary for their needs. We usually include all ground arrangements, accommodation bookings, domestic flights, transfers, private guides and activity bookings. Our team continues to work with guests whilst they are on vacation, by forward checking bookings, performing weather checks for activities, making any necessary changes, securing restaurant reservations and generally being on hand to answer questions. To give an idea of what your budget may include, below are some of the frequently requested items & excursions. The costs are based in NZ dollars but tend to be similar in Australia not accounting for the exchange rate. What are the costs of more incidental day to day items? below are a few ‘holiday items’ to give you an idea. Editor’s note: This blog was originally published in March 2015, and has been updated for accuracy, and currency.